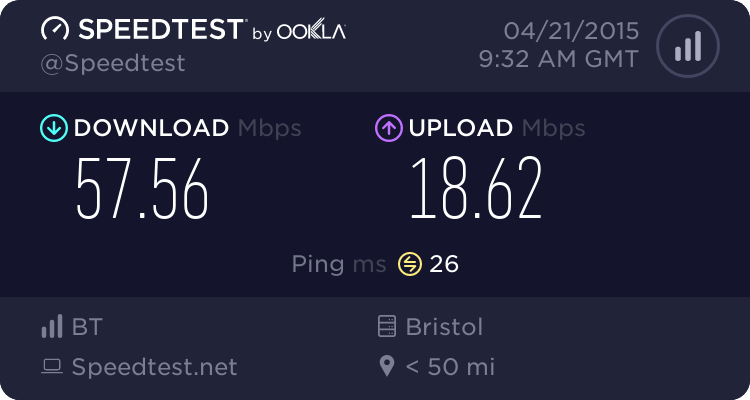 UKCS Mega Game Servers • View topic - Your ISP's Ping/SpeedTest Thread! 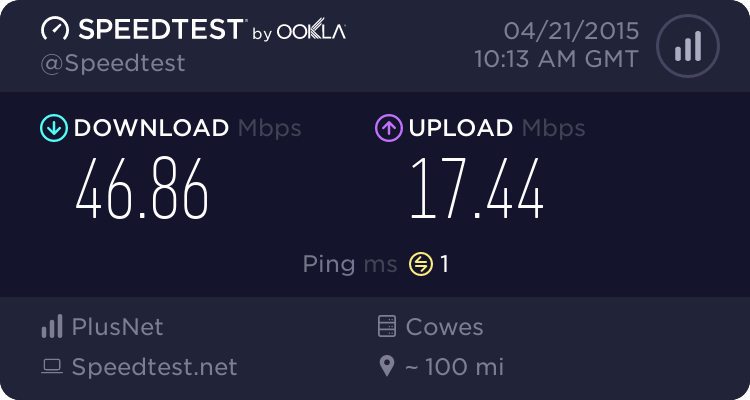 Re: You're ISP's Ping/SpeedTest Thread! Security wrote: I ordered 100/100 internet for my new house next month, I can't wait. Apparently I never posted my new speeds here (I did do so in the chatbox tho). 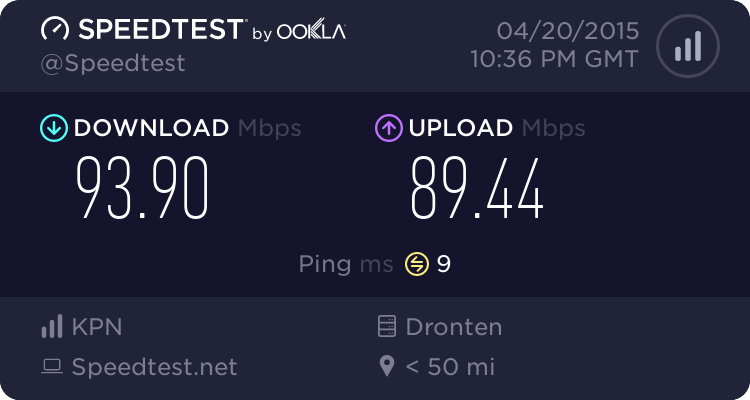 That is what I am currently getting, usually my upload is around 96Mb/s but for some reason tonight it isn't. 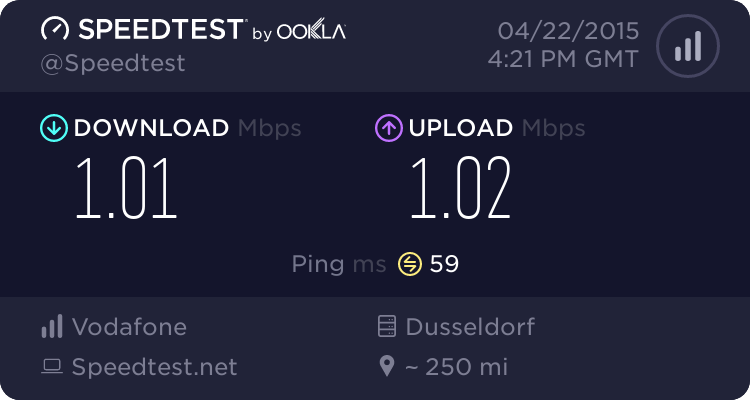 Re: Your ISP's Ping/SpeedTest Thread! I'm pleased that I can get this downstairs via. a powerline adaptor especially as I just got a reduction in my monthly bill. your main socket is upstairs? EWJ wrote: I hate you all. I kind of lived upstairs until recently. Given a day I plan to run a wire down from the router to a switch but need to do a bit of drilling. Not responding to coti anymore. Silkie I did the same..
shame you did no live near me I could have moved your socket downstairs for you. 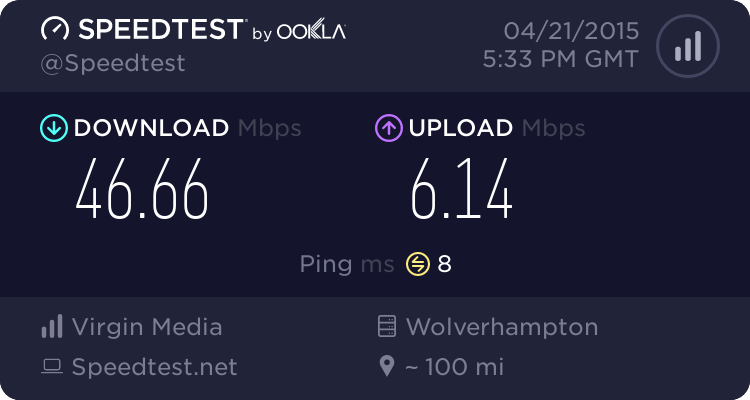 mind you I do have one advantage that most if not all of you don't and that is I do not pay for my broadband it is free as i work for BT. Coti you must feel dead inside, what a difference lol. Im not too happy about my speed either, eventho it says 200mbit down and up, the wifi and stuff feels laggy.